← 4-PARK DECEMBER TOURNAMENT reported by Earl Ball. 2018 12 16. Nick Klym No Longer Can Shuffle, BUT He Had One “Heck” of a Career!!! Nick Klym turns 93 on 2018 12 17!! Nick Klym said this to me on 2018 07 20. Hi Stan So Sorry to hear about Lois. I am at a rest home. It is ok here. It is going on 2 years that I have been in the Rest Home. I broke my leg when I fell at the Rest Home, It healing very slowly. I can walk with a cane now but not very far. Take Care Nick Klym. 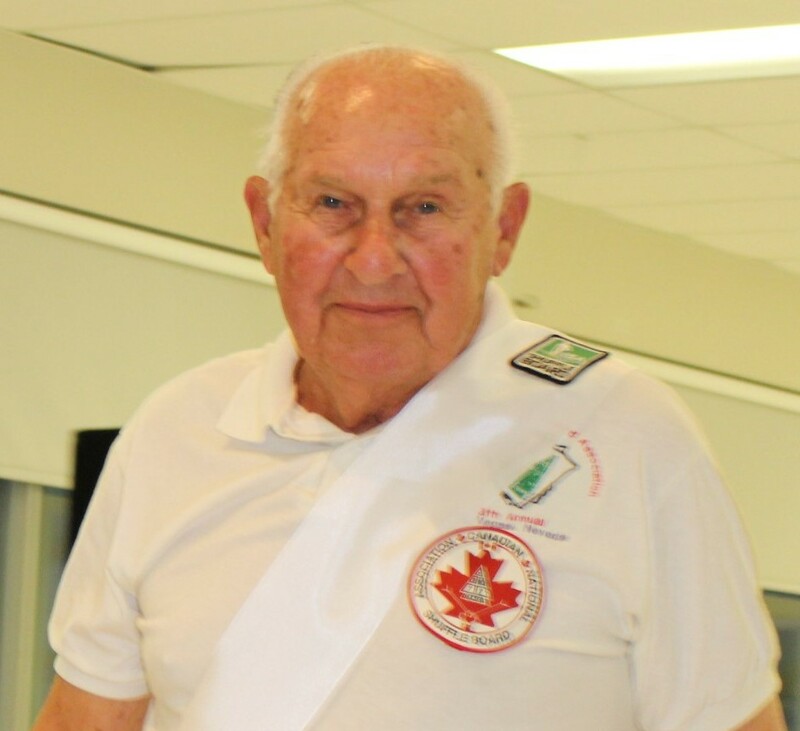 Nick Klym, who was nominated for the ISA Hall of Fame by then Canadian President Roy Norman, represented Canada Sixteen (16) times at ISA Tournaments. Roy advises that no one was more willing to assist in these formative years of the Organization, describing Nick as the hard working man behind the scenes. Nick served as Team Captain for Canada and also participated in Team Selection. It should be noted that Nick was not the Canadian President and accordingly his induction is especially noteworthy. THE SHUFFLER 2007 11 28. 2 Responses to Nick Klym No Longer Can Shuffle, BUT He Had One “Heck” of a Career!! !